On the ground, it’s awful. 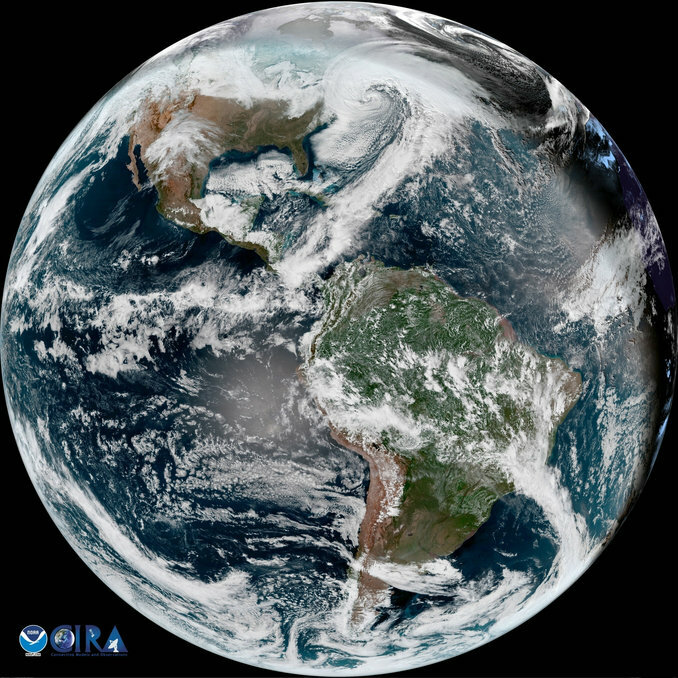 The bomb cyclone is here. After bringing snow to Florida, and freezing fountains in Georgia, the storm made its way up the east coast bringing subzero temperatures, blizzard conditions, hurricane-force winds, and yes, even flooding. 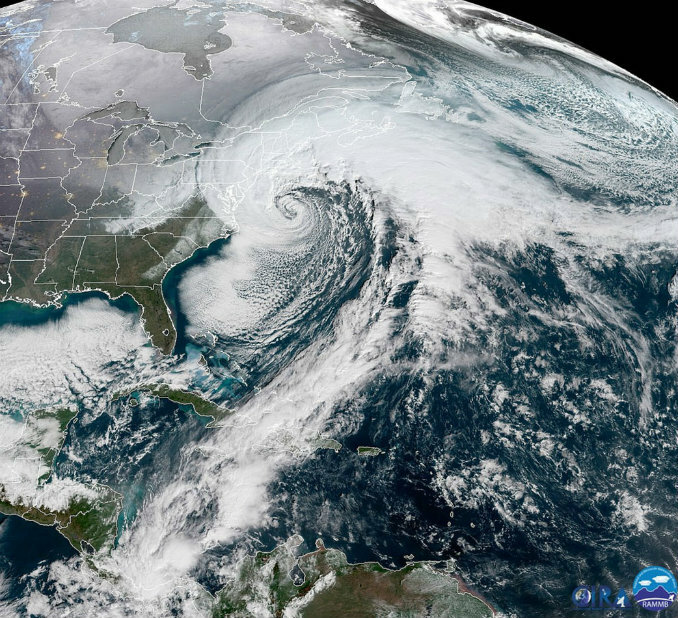 Here’s what the powerful storm looks like from space. Here on Earth, areas affected by the storm—especially New York and New England—could expect rates of 3 to 5 inches of snow per hour accompanied by 50 to 80 mile-per-hour wind gusts. A popular summer tourist spot was turned into a winter hellscape as the storm lashed at the Maryland coast. New York saw white-out conditions as the storm approached. Because the storm is coinciding with high tide, eastern Massachusetts also must cope with severe flooding. The storm is expected to pass by Thursday night but will be followed by record-shattering cold weather. According to the Washington Post, large swaths of the country can expect temperatures 20 to 40 degrees colder than normal. Most places in the Northeast and Mid-Atlantic will likely break records this weekend with high temperatures in the single digits and teens. Winter haters will have to wait until early next week to begin enjoying slightly warmer temps—but remember, it’s only January.